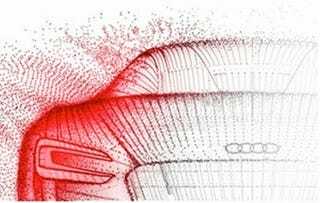 Audi's been teasing an all-electric concept car for a few days, but here's the first "image" of the car, ironically coming the same day we learn Audi of America President Johan de Nysschen thinks anyone considering a Volt's an "idiot." What's happened to electricity? It got dumbed down and domesticated. It's stuck inside toothbrushes and coffee makers. But on September 15 electricity, and all its force and power, will run free and completely untamed.